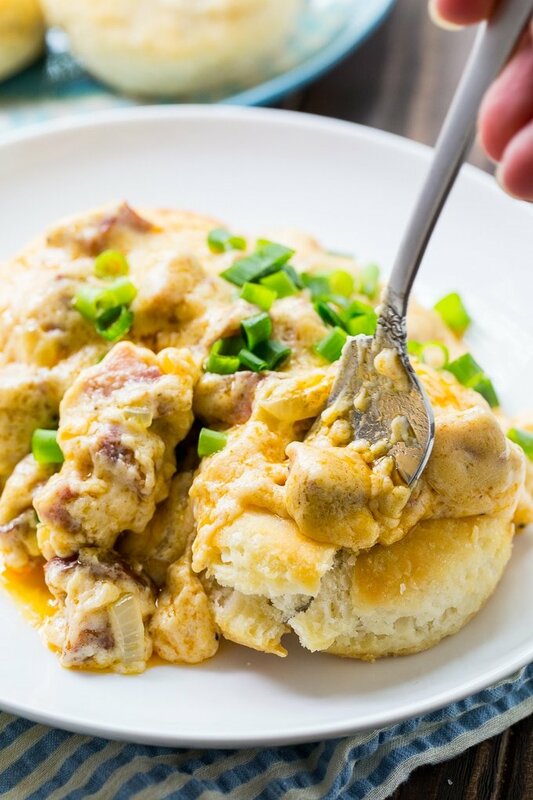 Andouille Sausage Gravy is a spicy, New Orleans-style version of the classic southern breakfast Biscuits and Gravy. The gravy is thick and creamy and lick your plate good! Traditionally ground pork breakfast sausage is used to make gravy to serve with biscuits, But I love this Andouille sausage gravy just as much. Biscuits and Gravy are the ultimate southern breakfast. Who can resist that savory goodness? 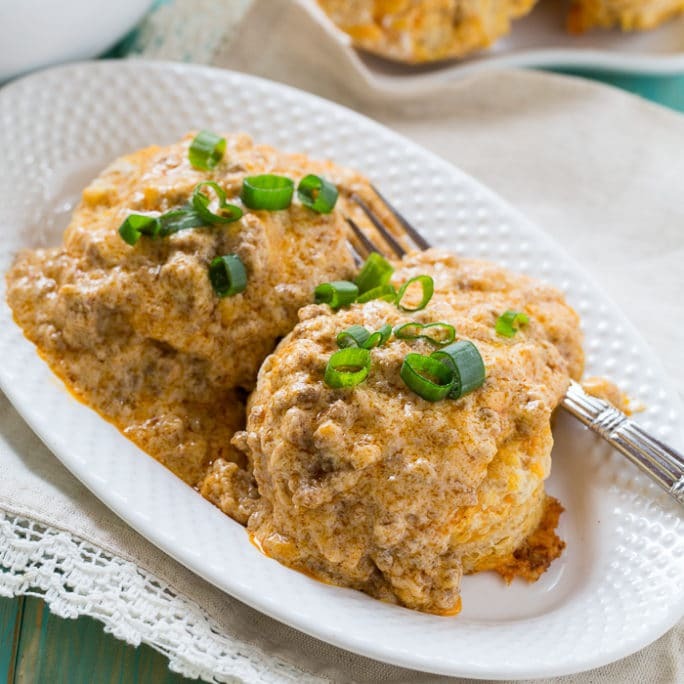 Use your tried and true biscuit recipe to serve with this Andouille Sausage Gravy or try Callie’s Buttermilk Biscuits. They are delicious covered in a blanket of gravy. Or maybe stop by Bojangles and buy a bunch. Their biscuits are so good! Andouille Sausage is so full of flavor and spice, it really livens up this gravy. Fortunately it has become much more widely available in recent years. You can also use it in recipes like this Jambalaya Grits and Pasta with Sun-dried Tomato Sauce and Sausage. If you’re a huge Biscuit and Gravy fan, try these Sweet Potato Biscuits and Chorizo Gravy. They are another delicious spicy option. 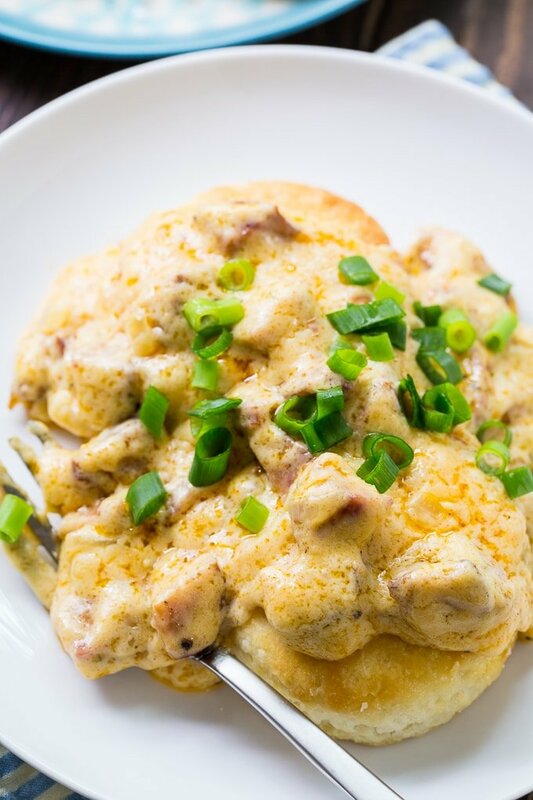 Plate up some biscuits and Andouille Sausage Gravy and get ready to experience pure biscuit Heaven! 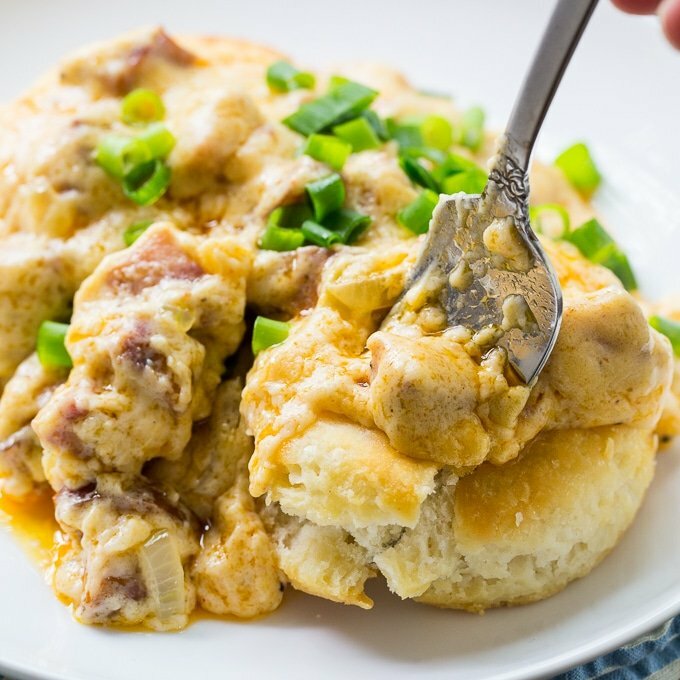 Andouille Sausage Gravy is a spicy, New Orleans-style version of the classic southern breakfast Biscuits and Gravy. Place a large pan over medium heat. Add the butter. Once melted, add andouille sausage and onion. Cook until sausage is browned and onion is softened, about 5 minutes. Stir in paprika, garlic powder, and cayenne pepper. Sprinkle flour over mixture, Cook and stir for 1 to 2 minutes. Gradually whisk in half-and-half. Cook and stir until thickened and bubbly. This entry was posted in Breakfast and tagged Andouille Sausage, biscuits. Bookmark the permalink. Gorgeous recipe. I will try this one.